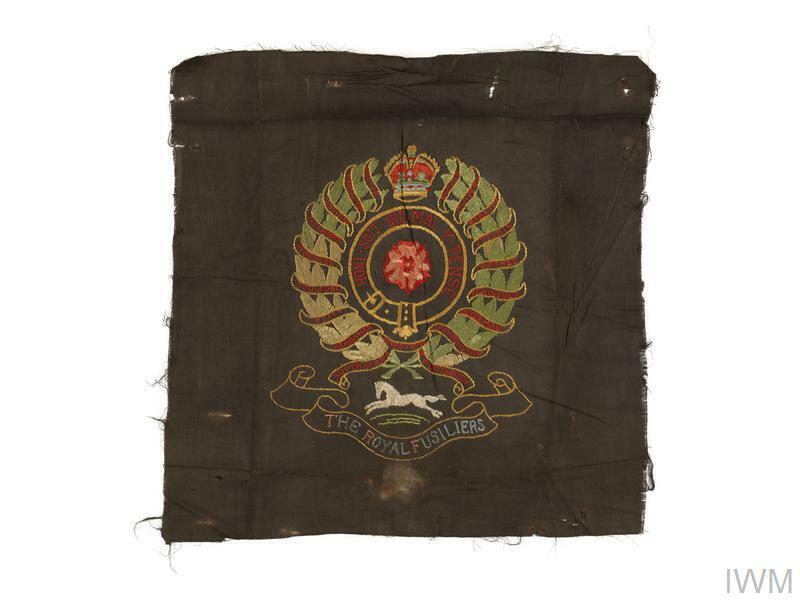 A large colourfully stitched wall embroidery on unbleached linen base, the emblem of the Royal Fusiliers is worked on the obverse which comprises a fused grenade with Garter on ball enclosing a rose, below is a blue thread scroll with white lettering reading 'THE ROYAL FUSILIERS'. An example of occupational therapy? The embroidery was very probably worked by Lieutenant Frederick Charles Falby in whose effects it was found. He served in the 2nd East Lancashire Battalion during the First World War and died in 1946.